Farmers and service technicians alike know the frustration of trying to resolve issues after regular working hours. Especially if the issue can't wait until daylight. Sometimes it's a broken down planter in the middle of a cultivated field with rain predicted to fall in the next couple hours. A detrimental scenario for any farmer. With innovative technologies like AgriSync, more and more dealerships are offering around the clock solutions for their farmer customers.Robert Lowers, a Central Illinois farmer, experienced issues with the rotor on his Case IH combine not engaging. The issue arose on a Saturday night, a difficult time for any farmer to find service help on short notice. After frustrating attempts to troubleshoot the problem, Robert says, "I tried the AgriSync app." Before Robert made it to the shop a couple minutes down the road, he received a reply from his trusted advisors. Robert also says, "a minute or two after that [message], one of the owners of Central Illinois Ag actually called me." Central Illinois Ag owner, Michael Schmidt, wanted to follow up on the issue, since he had also been notified of Robert's ticket in the AgriSync app. Central Illinois Ag practices a customer service model that not only saves farmers from the frustration of downtime and troubleshooting problems, but also saves their dealership time and money. By including technologies like AgriSync in their customer service toolkit, Central Illinois Ag can solve issues without turning the key in their work truck. 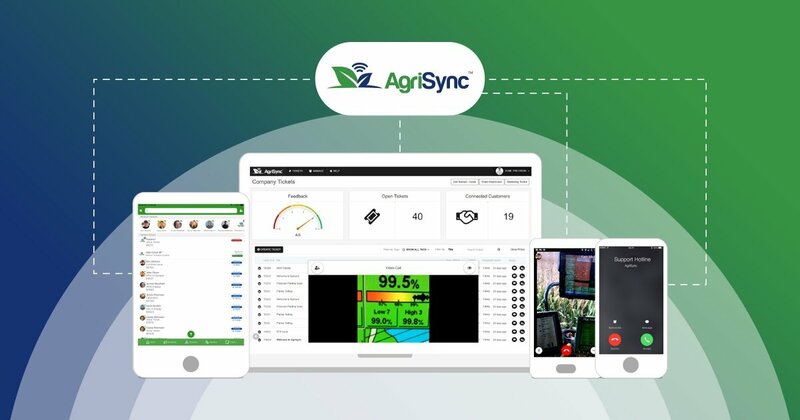 AgriSync is simple while effective in helping to resolve problems in minutes. "The next morning, we got the problem resolved. I can't say I believed it'd be that easy," Robert reflects on the ease of using AgriSync.